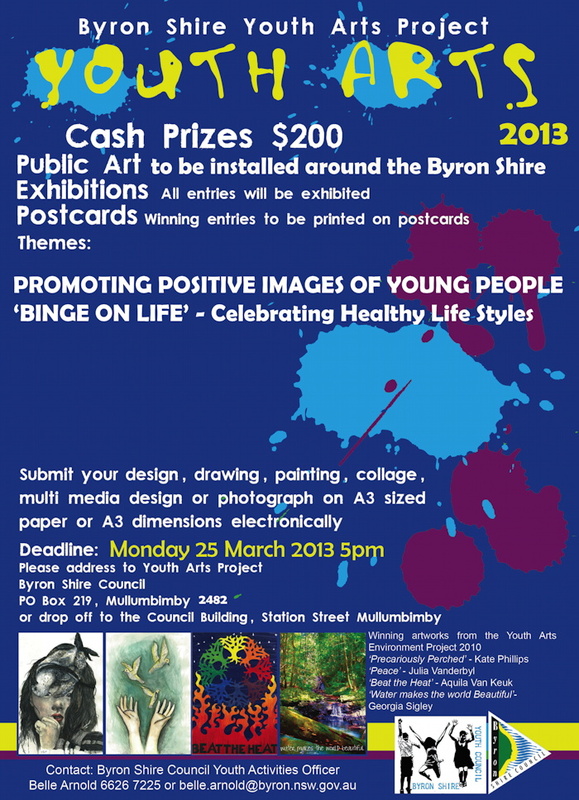 The Ocean Shores Gallery, the community based not for profit pop-up gallery, located at the Ocean Village Shopping Centre, will host the exhibition of the Byron Shire Youth Arts Project, commencing from April 10 2013. 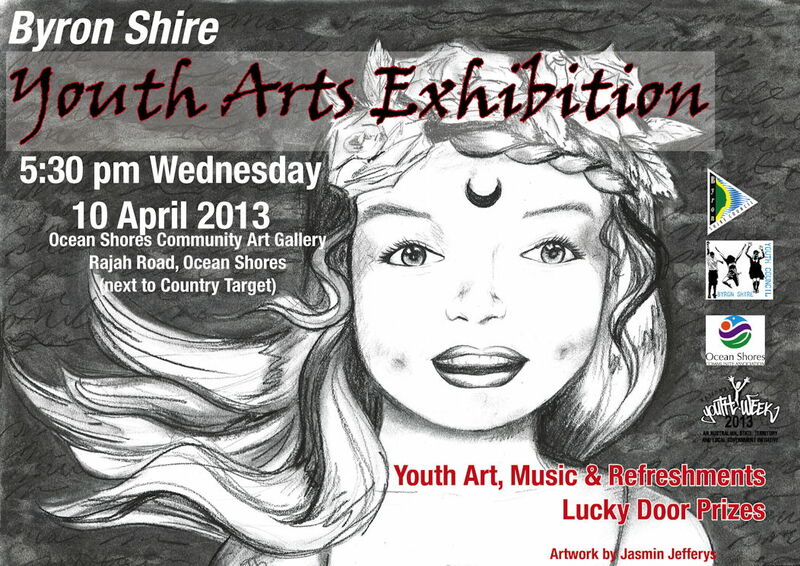 Byron Shire Youth Council would like to invite you to join them at the opening night of the Youth Arts Exhibition at the Ocean Shores Community Art Gallery, Wednesday 10th April from 5.30pm for an evening of amazing Youth Art, Music and delicious food! With lucky door prizes and the announcement of this year’s winning artworks, it is looking to be a fabulous community celebration of the talents of our local young people as a part of the celebrations for National Youth Week! The exhibition runs for a week from Wednesday 10th April until Wednesday 17th April. 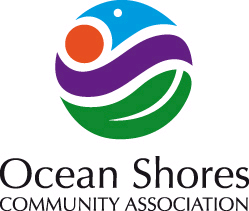 If you miss the opening, make sure you drop by the Ocean Shores Art Gallery to check out the artistic talent. Public Art installed around the Shire, Exhibitions & Postcards. Get your entry form in before 25 March 2013.